What is Determination and IS it the Missing Ingredient to Success? 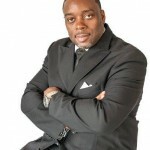 In this awesome Podcast, Monterial Bynoe, explains how he went from an inmate of 8 years in prison to a successful Pastor, Husband, And Business Man! LISTEN TO FIND OUT HOW HE DID It. Get The Book: Determination, Nothing and Nobody Can Stop Me Below check out some other great nuggets. 1. Join Terri and Sue’s Secret Mastermind Group ..